Home bitcoin Digital Marketing Bitcoin: How Did It All Begin, And What Are the Expectations? The internet is full of different articles like: what is bitcoin, how does it work, how is this real, why is bitcoin exchange rate running up, etc. The list is almost endless. 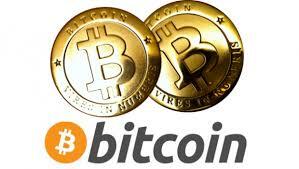 Although there is no much information about the foundation of bitcoin - the first of a kind cryptocurrency. Because it’s much easier to get the idea of something when you know, how it all began and where it is going. This article is some kind of an insight into Bitcoin. We know that all the great things are simple. It’s hard to say if the development of a source code that would let the whole decentralized system run without problems is an easy task, but when you got the idea of bitcoin you understand that it’s not that complicated. A lot of people are wondering who is the one that not only came up with this remarkable idea but, also the one who got the courage to implement it in terms of technical problems, who gave birth to a concept that we now call cryptocurrency. Let’s go back to November 2008, a certain article was posted in the internet, it was called: “Bitcoin: A Peer-to-Peer Electronic Cash System”. In this article you could find a methodical explanation of a system that is now, in the view of some experts, is considered to be more breakthrough than the discovery of the internet at the time. It was signed by a certain person who claimed himself as Satoshi Nakamoto, about a year later a bitcoin network came out in the world and the first blocks were generated. At the very beginning only few people were interested in bitcoins and the transactions were made more for fun. These people could even have thousands of bitcoins with which they could barely buy a pizza. It takes your breath away when you realize how pitifully small was an amount of a couple thousand bitcoins at that time and what an enormous money it would have been now. Another thing that adds even more curiosity and attractiveness to all this is the fact that no one has ever seen the creator himself and we can only guess who he is. There is, even, no certainty whether his name is real or not, some assume that it can be a team of developers, some people claim random people as Satoshi Nakamoto. For example, one Japanese-American man’s life was turned upside down when journalists, for a moment, mistakenly considered him the inventor of Bitcoin. At the same time, using this hype some people try to capitalize themselves. The truth is that, whoever he is, the behind-the-scene guy, had not only given people a new way of exchanging goods and money, but also a unique possibility to rethink our idea of finances, as they are. A lot of people are wondering about this question, because only eight years have passed since the birth of bitcoin and we can see how the exchange rate is growing, how many countries recognize bitcoin as an official payment system, how much money is invested into this business, and so on. Like in any business, there are opposing camps of people, who have their own ideas about the future of bitcoin and you can see a lot of confrontations related with it. And you know what? Sometimes all of them present the undisputed facts, moreover these facts can even be the same, because they look at things differently. For example, there’s a well-known fact about a probable expansion of blocks in a blockchain. This, indeed, can happen because the amount of people using bitcoins is noticeably increasing and the eight-year-old blockchain mechanism probably needs an update. It’s no big deal, it’s just another step a digital currency should take to prove itself among its users. Is there any need to remind how many centuries a financial structure, that we now know, tried to settle down in our complicated world by trial and error? Just imagine how much it matters! For the first time in all these hundreds of years we have an alternative financial structure that is only at the beginning of its long way and, for sure it has and will have its ups and downs. The thing is that no one can tell for sure, what the specific future of bitcoin is and what its cost will be after some time. As recently as 2012, people would not believe that bitcoin value was going to rise so intensively. Cryptocurrency is something utterly new for people, for humanity, and there is a sense of the word “humanity” in this sentence, it clearly shows how global the appearance of bitcoin is. That’s why it is hard to find an expert who will probably tell you the future of bitcoin, not because there is no such, because it is a principally new branch of finances, new steps of humanity in the direction that is now considered as an alternative one, but who knows, maybe years later we’ll have a different understanding of what money is. your presentation but I to find this topic to be actually one thing which I think I'd by no means understand. I am looking ahead for your subsequent publish, I'll attempt to get the cling of it!